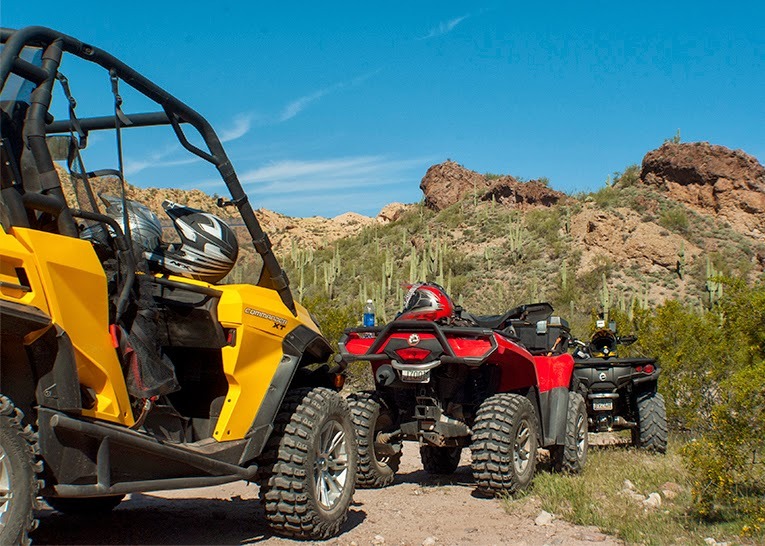 One of my favorite things to do when we visit Arizona is to take the four wheeler and side-by-side out into the desert! It is so much fun! And, in my opinion, the only way to really see the desert. Photographs will never do this beautiful place justice. Never. Needless to say, I am head over heals, in love with Phoenix and the surrounding area. I means, so much so … that I am already planning on an early retirement. I think Mark and I can live out there in the Winter, Spring, and Fall and sell our handmade wares. Sounds like a great plan, ay? Anyhow, these are just a couple of photos from one day of off roadin’. Bull Dog Canyon is super close to Marks Dads house, so we were able to just drive the OHV’s there. Yup, you read that right. On the road! 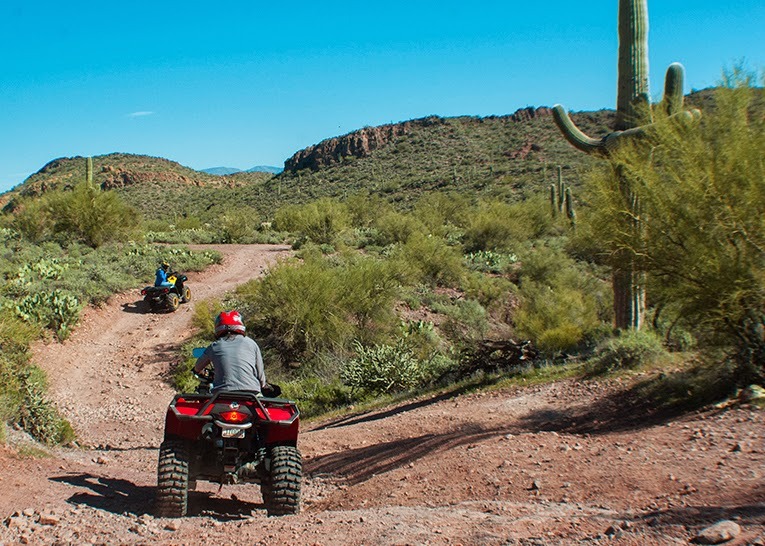 In Arizona, you can drive OHV (off highway vehicles) on the road! As long as it’s not a major highway, of course! You’d be shocked at just how fast these babies go! Well, stay tuned. As I sort through my photos, I’ll keep sharing bits and pieces. Cheers! Oh…how I long for the day! And yes, the cacti are amazing! 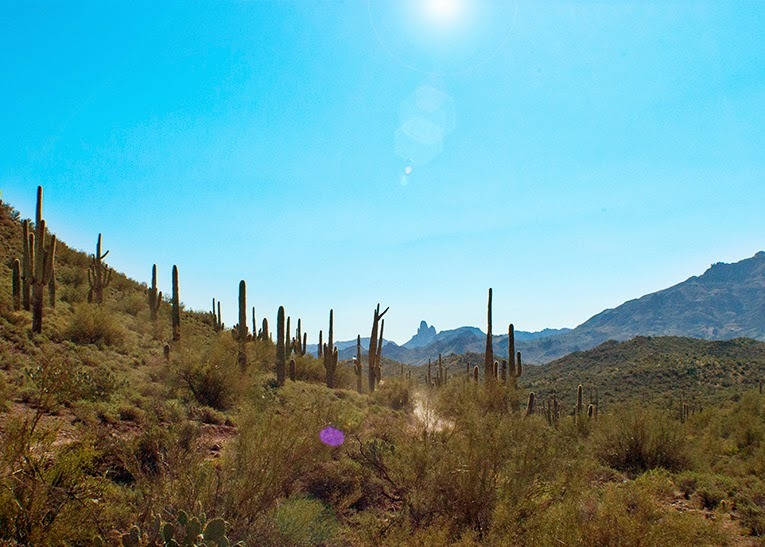 The Saguaro cacti only grow in the Sonoran Desert, making them even more special! Look at how cute those cacti are! I can definitely see retiring there! Yes! So much fun, a little bouncy at times…and sometimes terrifying….but, all worth it!